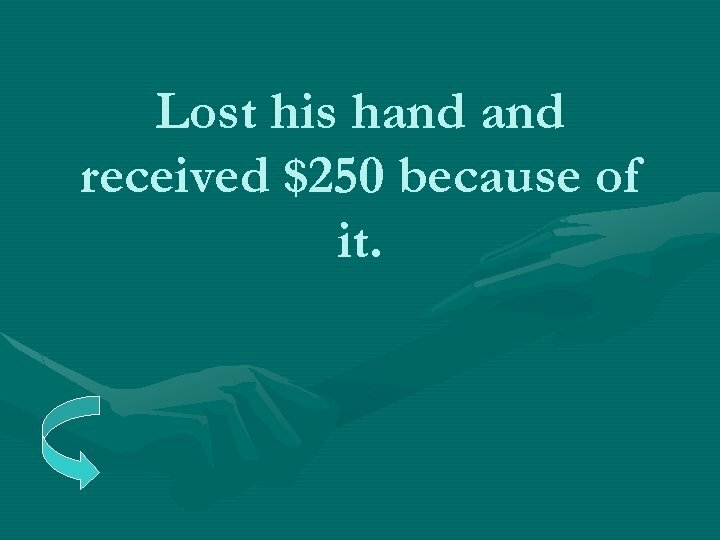 Lost his hand received $250 because of it. 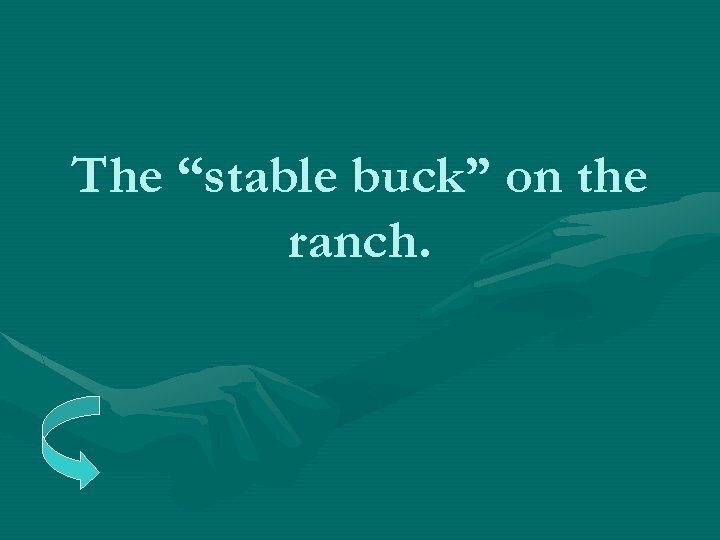 The “stable buck” on the ranch. 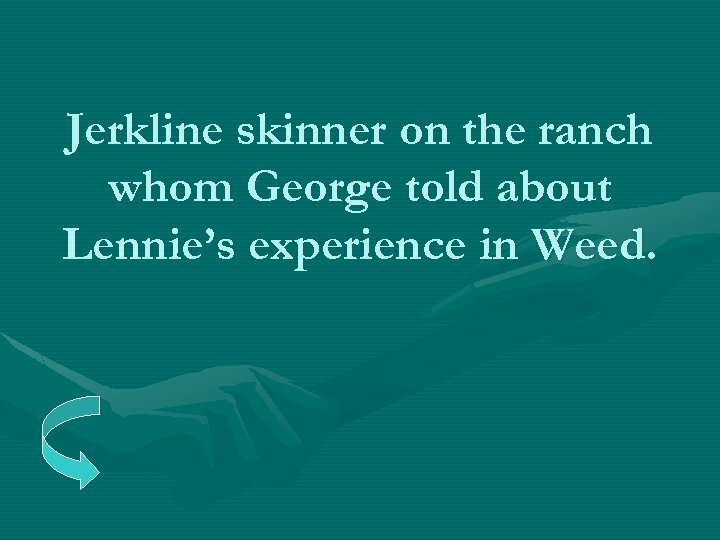 Jerkline skinner on the ranch whom George told about Lennie’s experience in Weed. 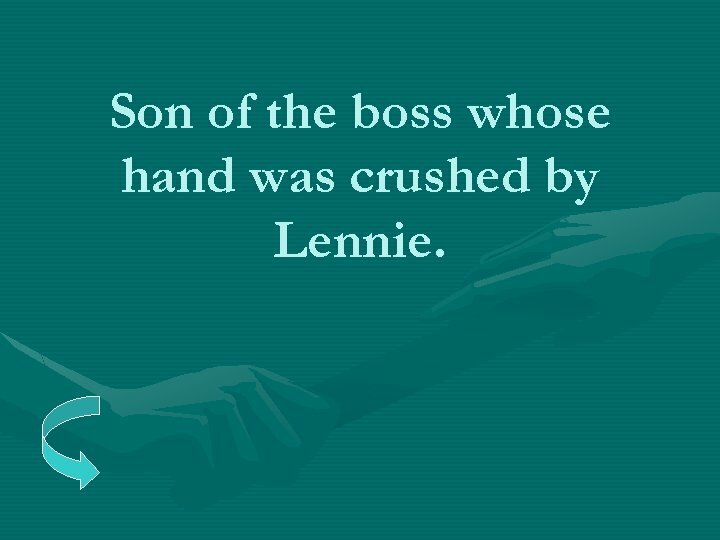 Son of the boss whose hand was crushed by Lennie. 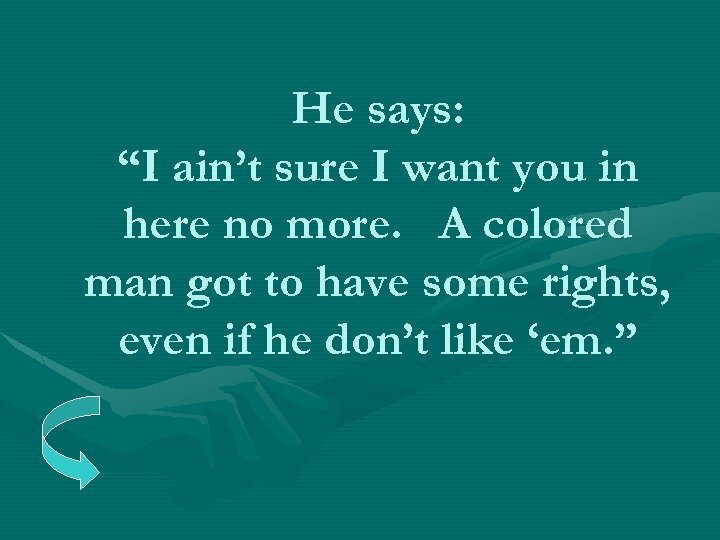 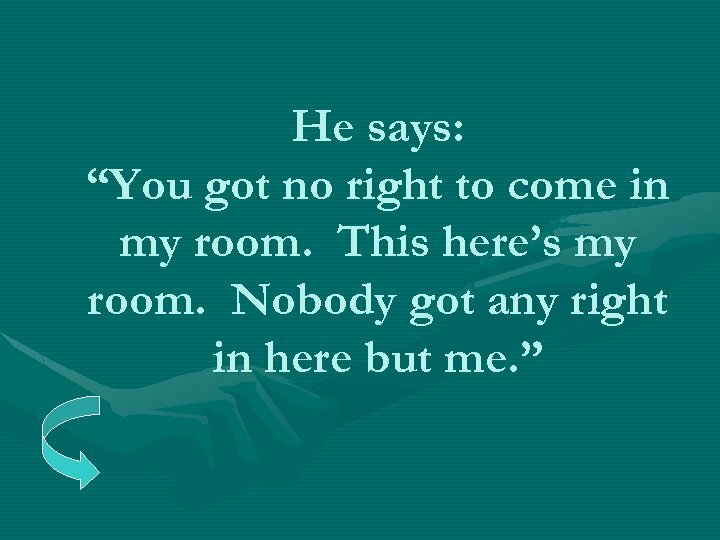 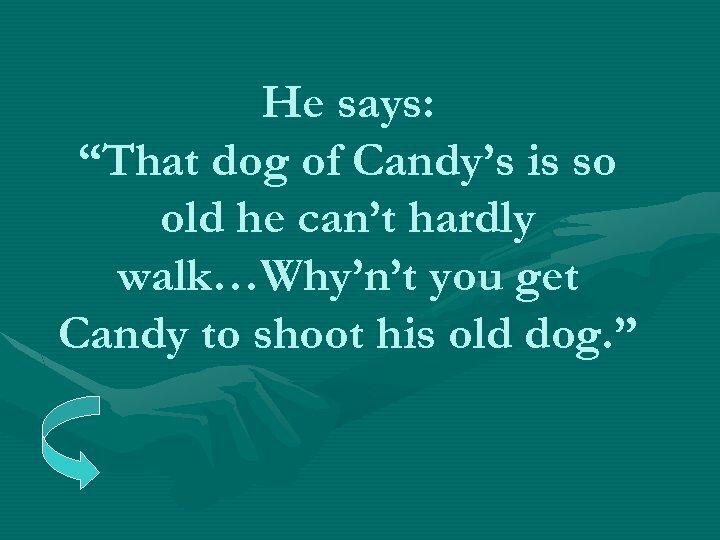 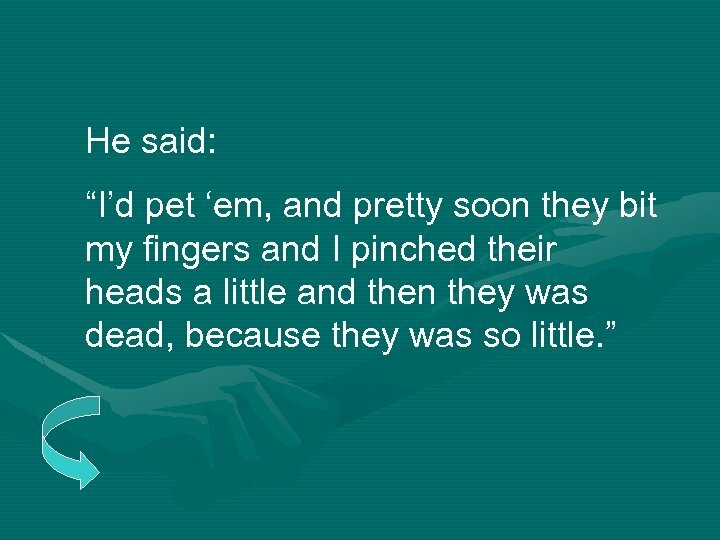 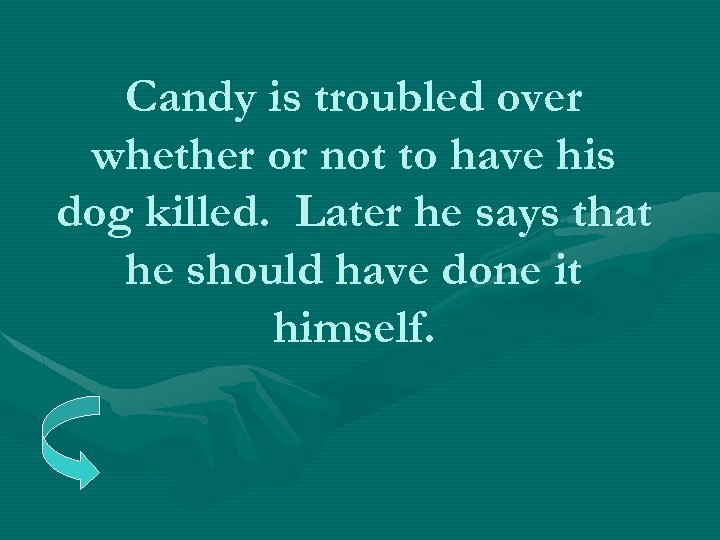 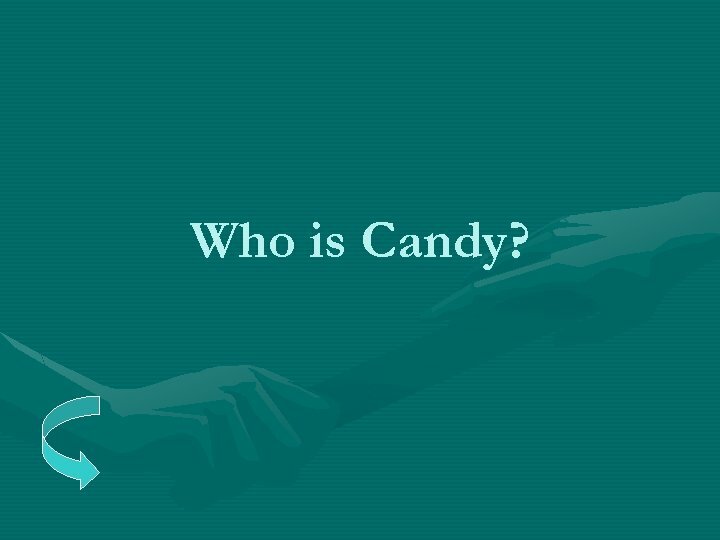 Candy is troubled over whether or not to have his dog killed. 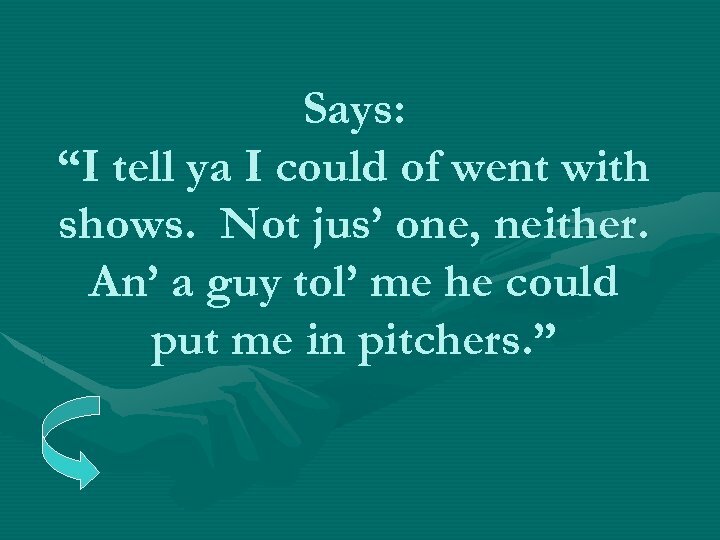 Later he says that he should have done it himself. 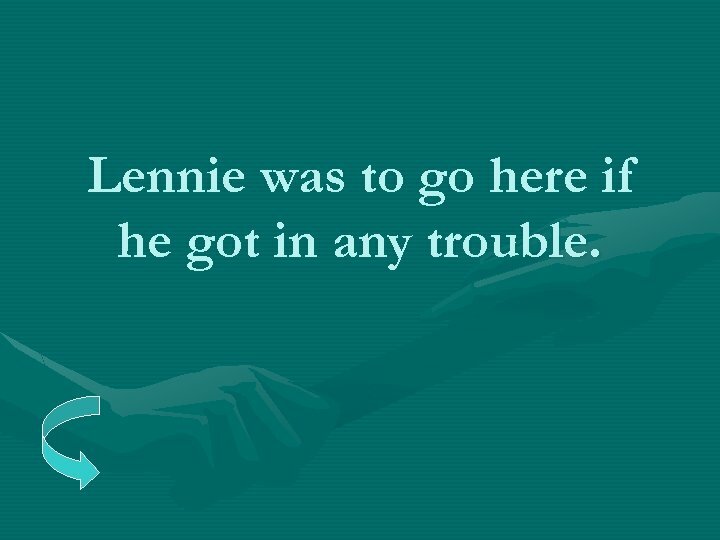 Lennie was to go here if he got in any trouble. 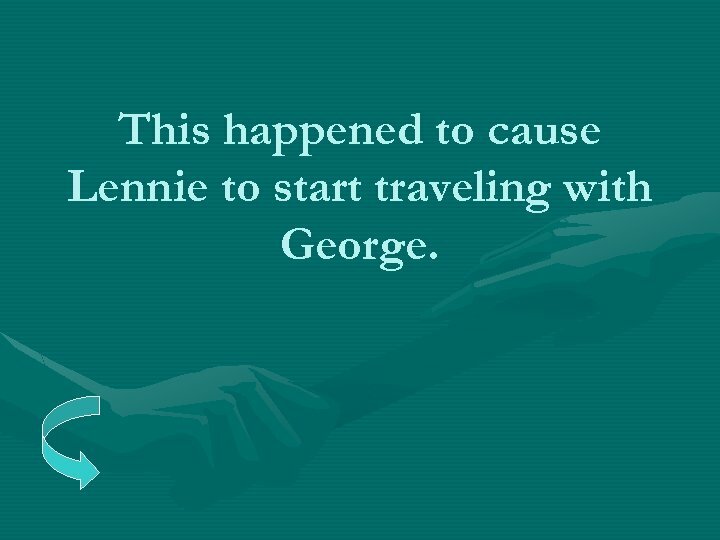 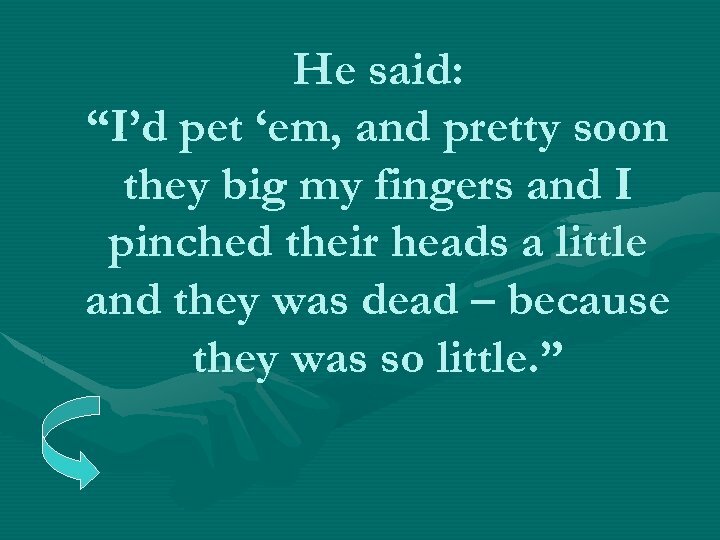 This happened to cause Lennie to start traveling with George. 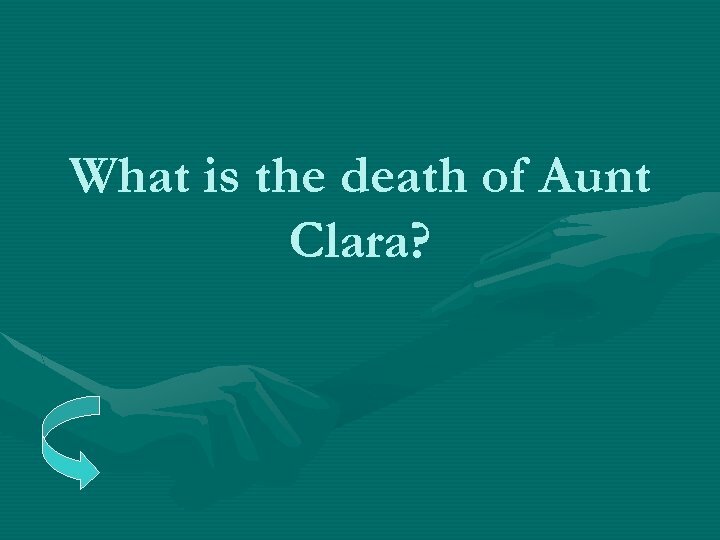 What is the death of Aunt Clara? 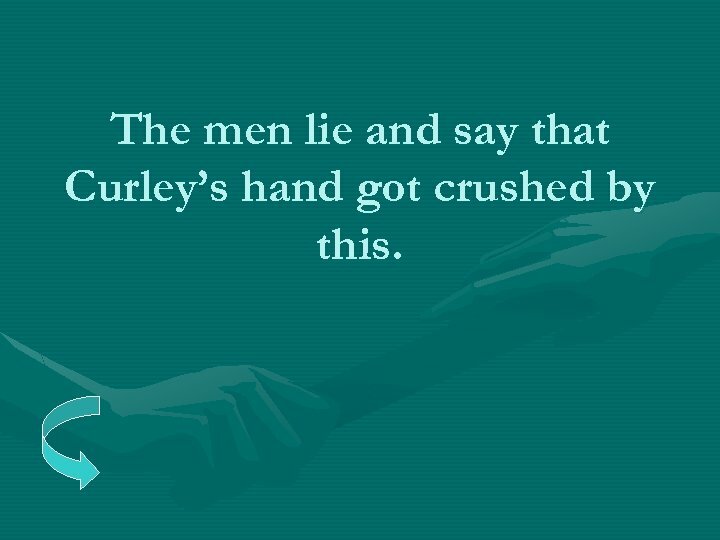 The men lie and say that Curley’s hand got crushed by this. 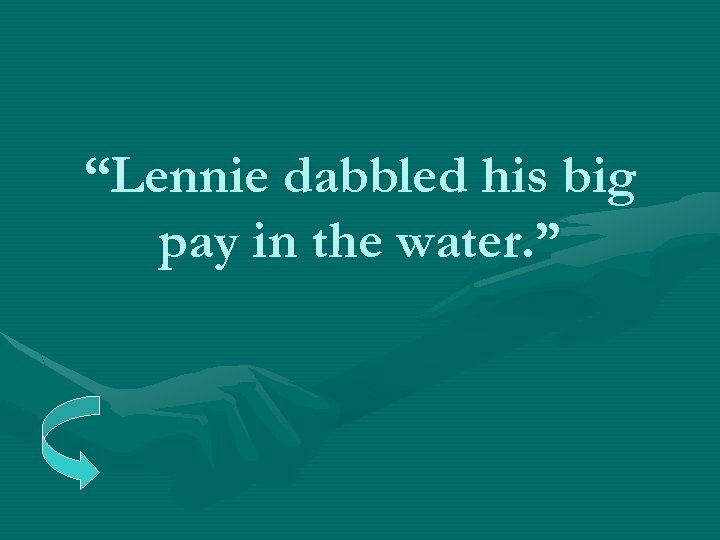 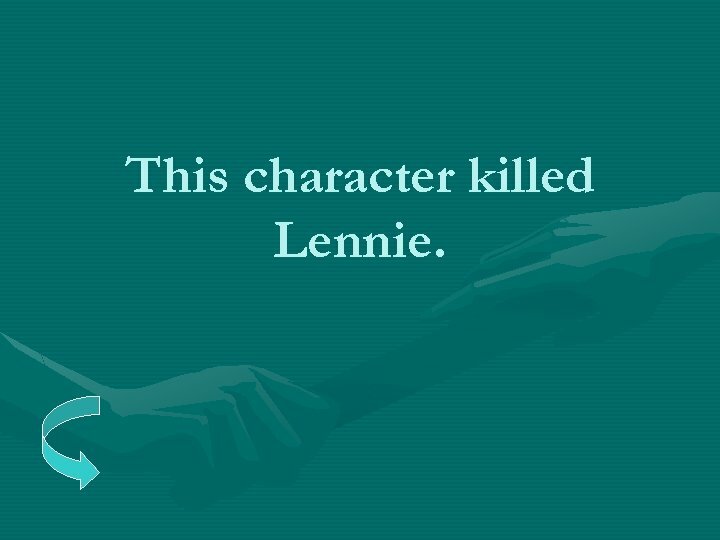 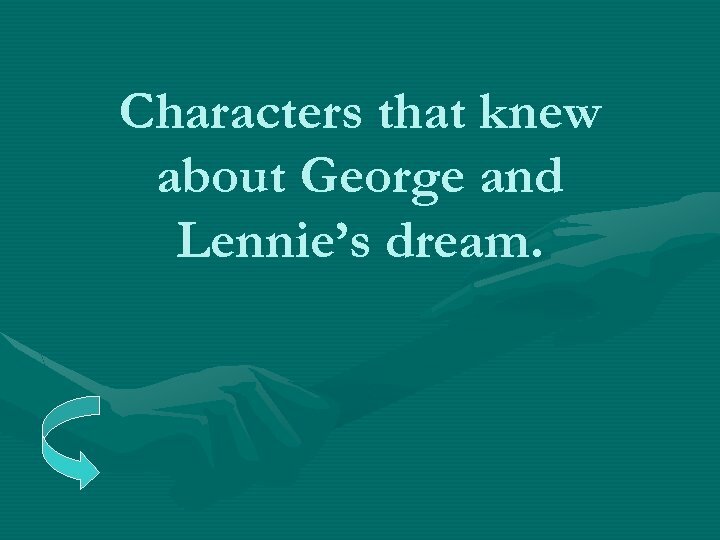 Characters that knew about George and Lennie’s dream. 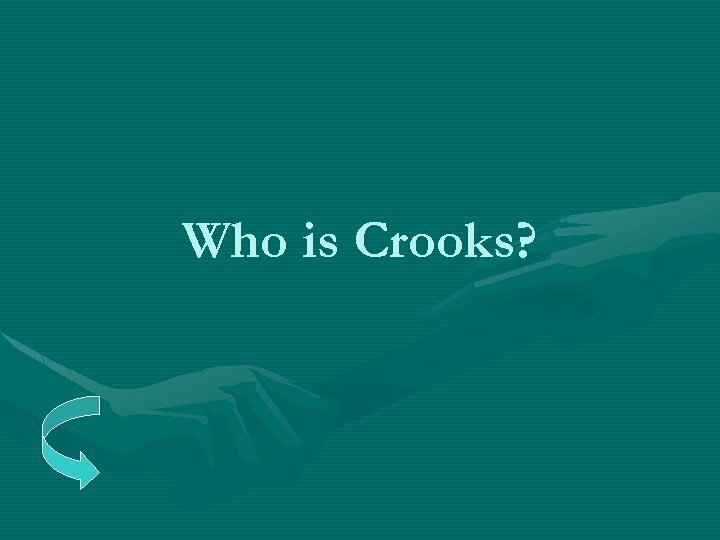 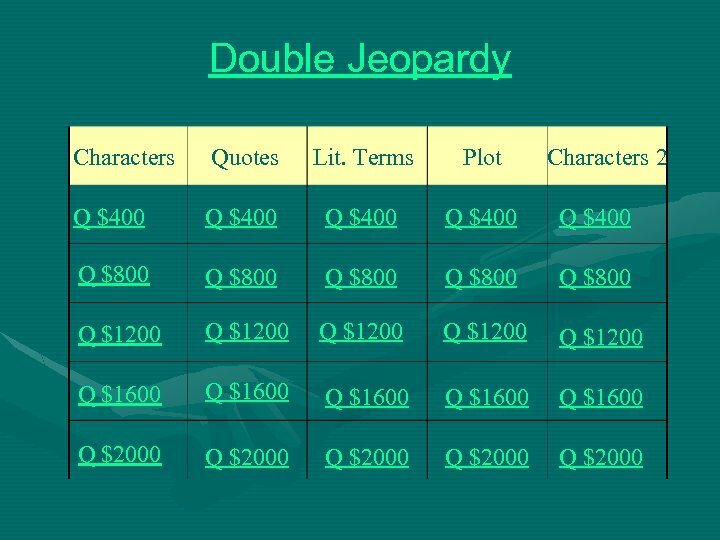 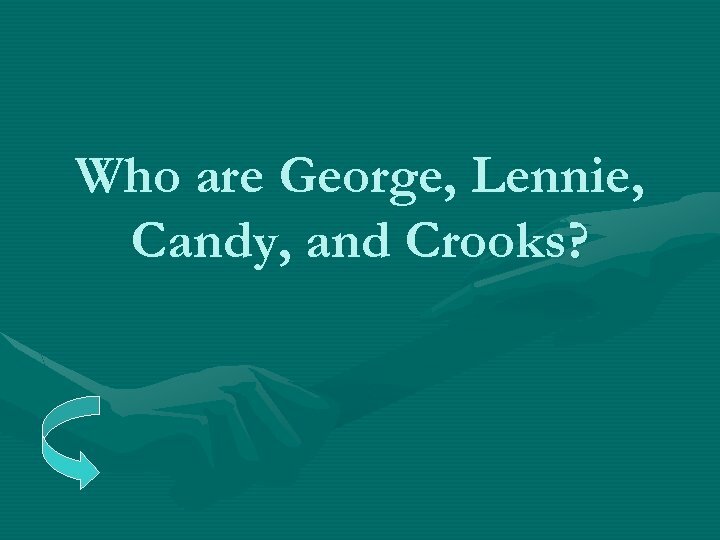 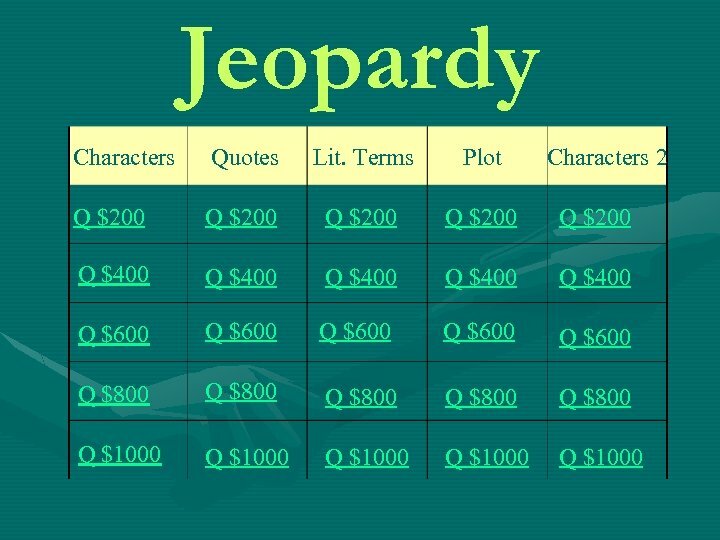 Who are George, Lennie, Candy, and Crooks? 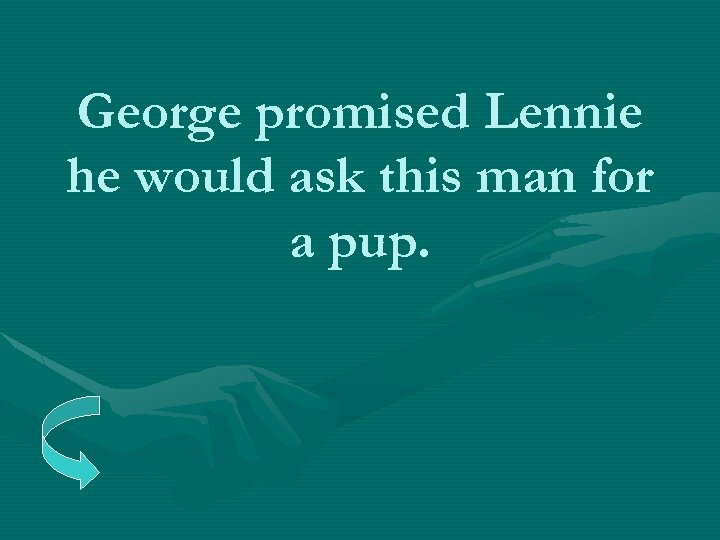 George promised Lennie he would ask this man for a pup. 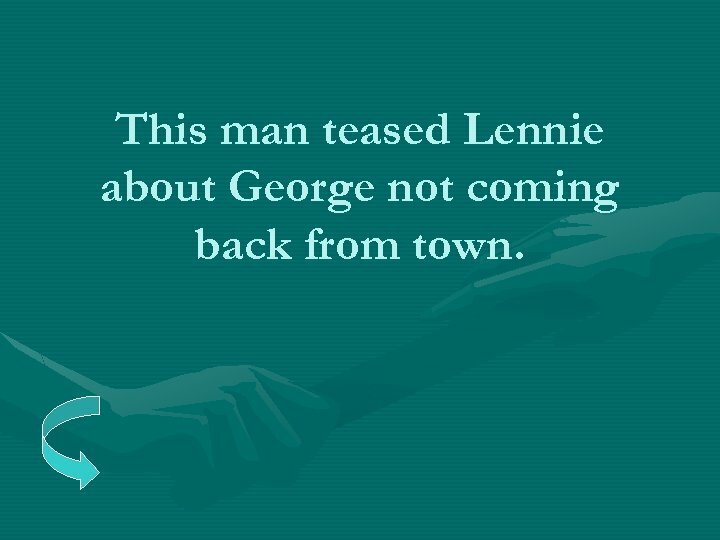 This man teased Lennie about George not coming back from town. 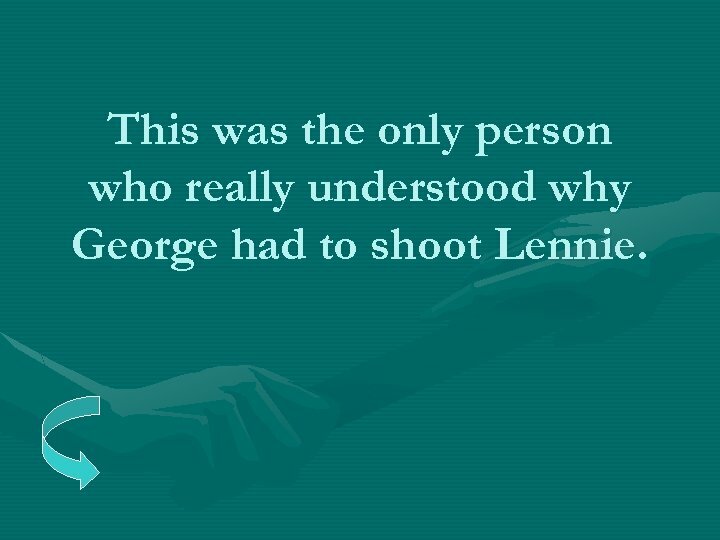 This was the only person who really understood why George had to shoot Lennie. 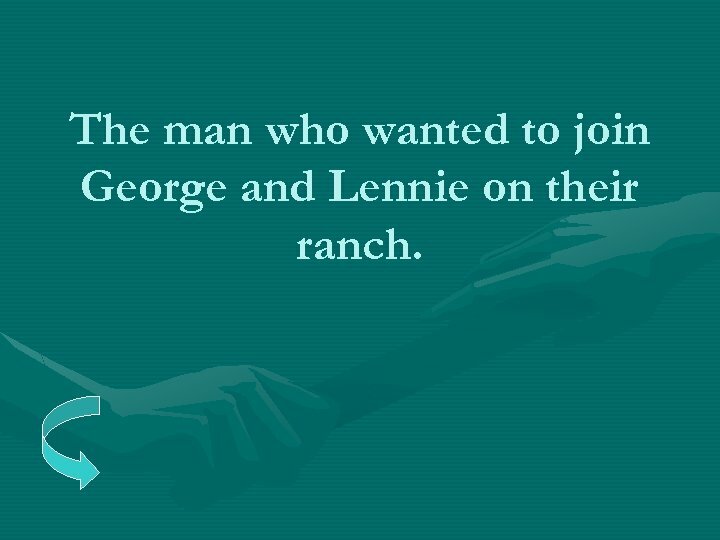 The man who wanted to join George and Lennie on their ranch. 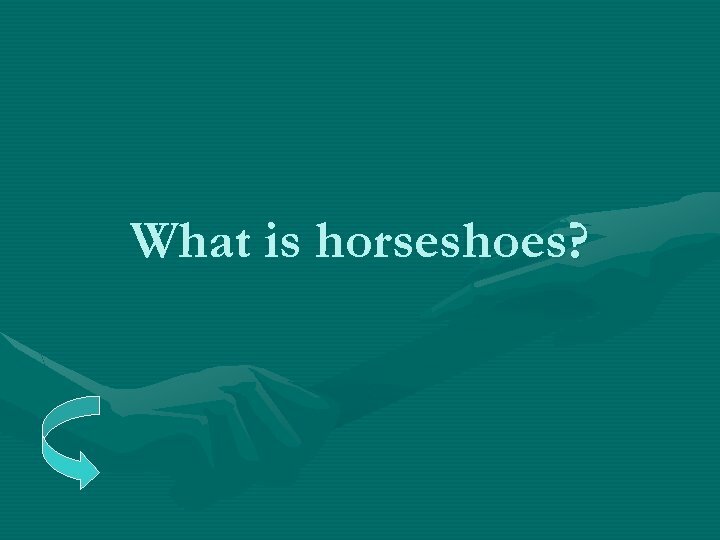 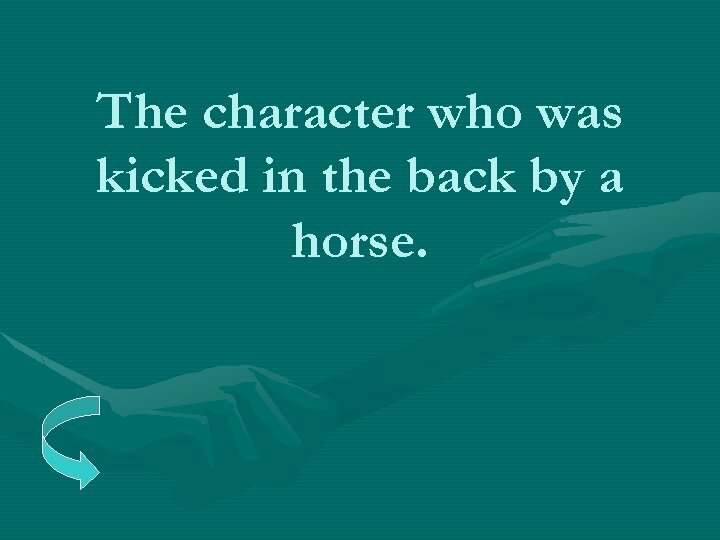 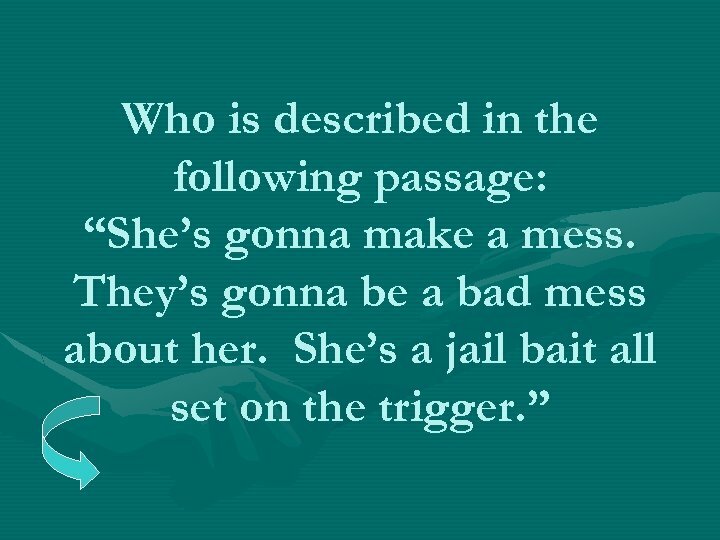 The character who was kicked in the back by a horse. 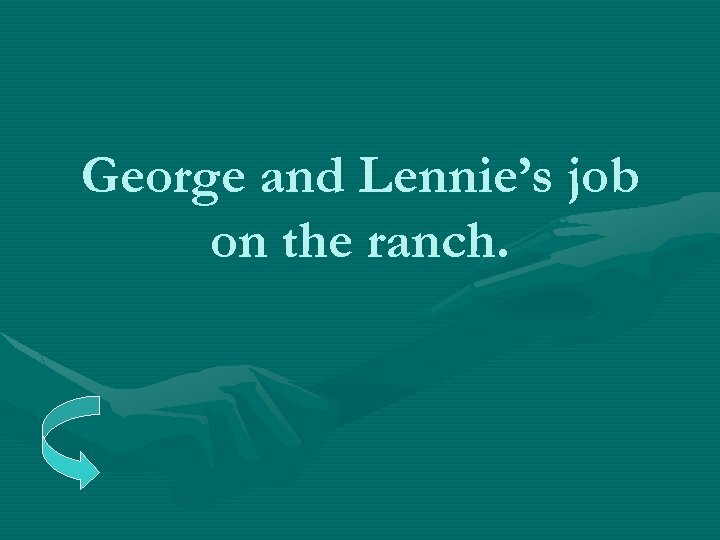 George and Lennie’s job on the ranch. 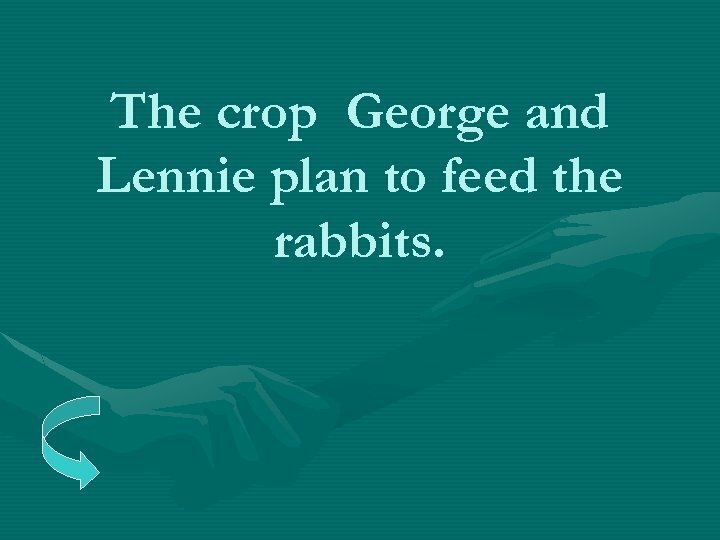 The crop George and Lennie plan to feed the rabbits. 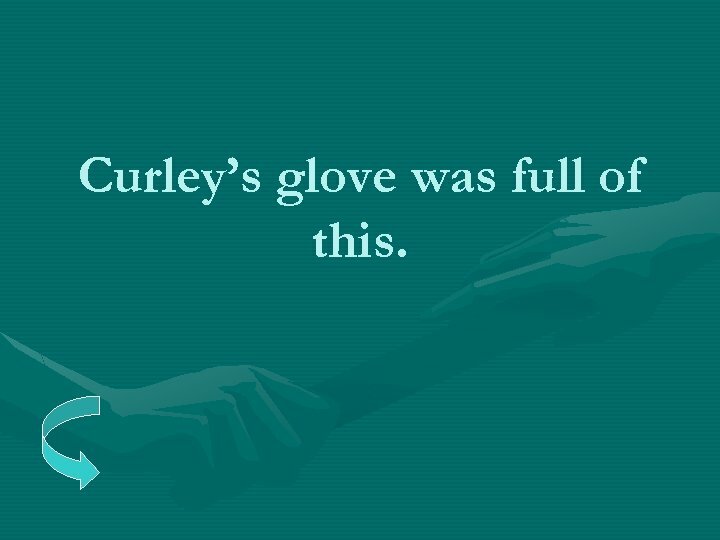 Curley’s glove was full of this. 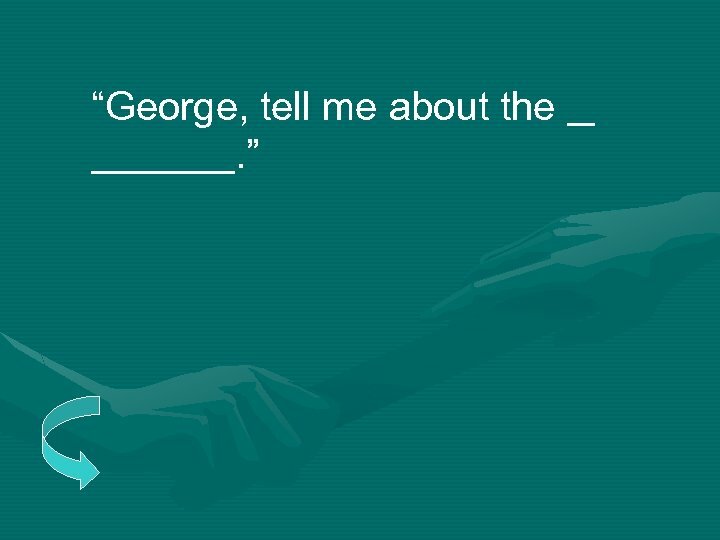 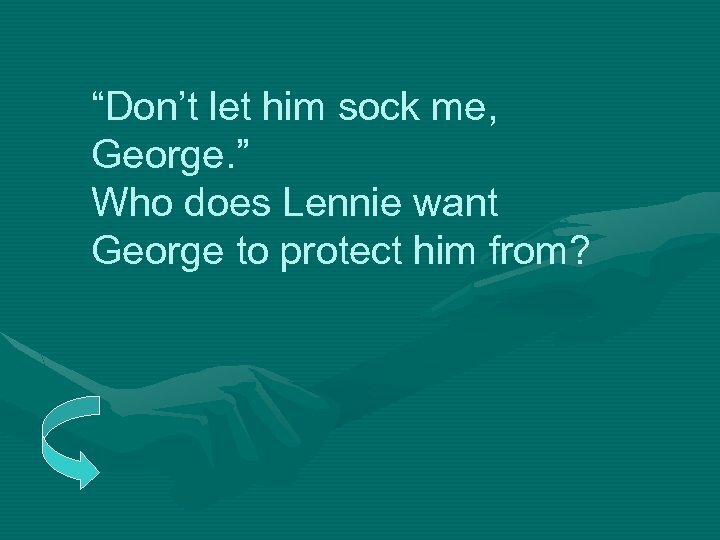 “Don’t let him sock me, George. 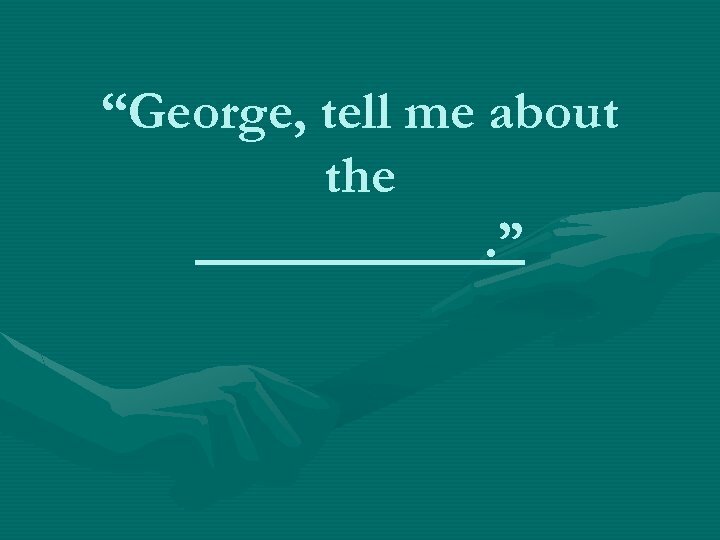 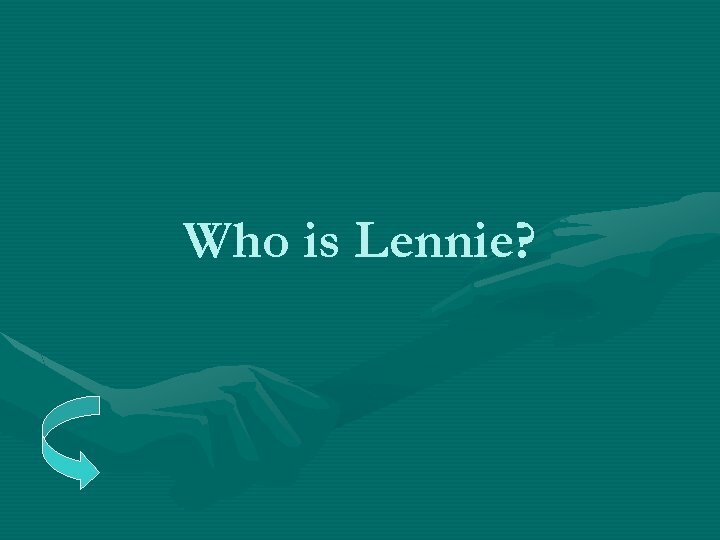 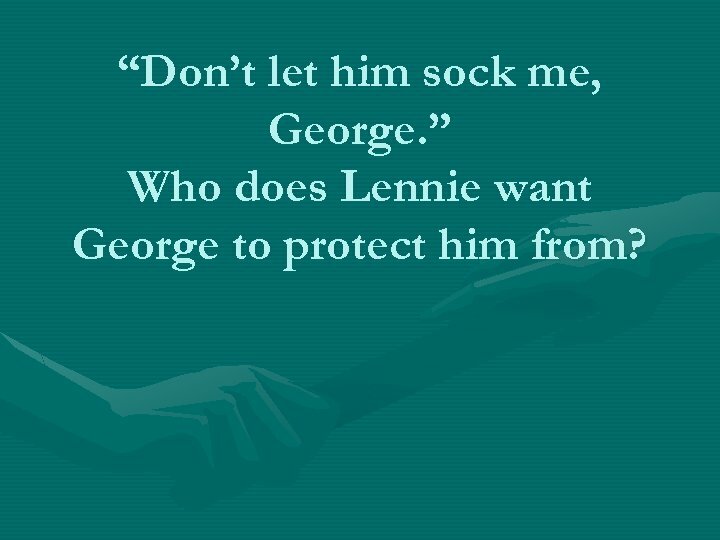 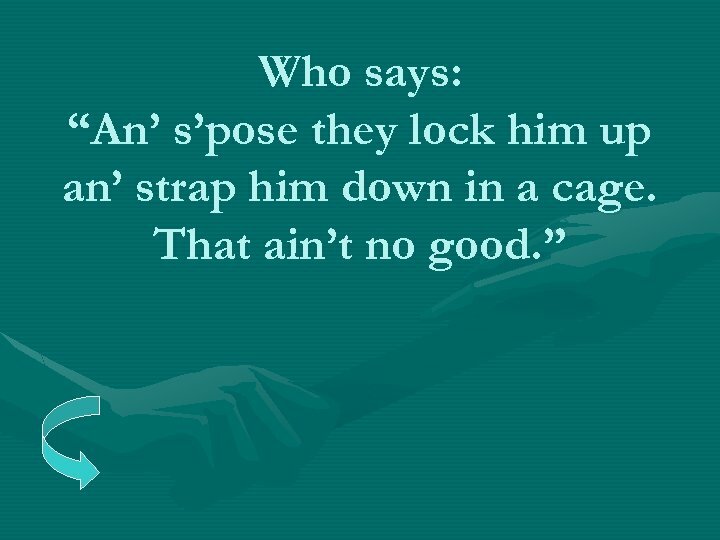 ” Who does Lennie want George to protect him from? 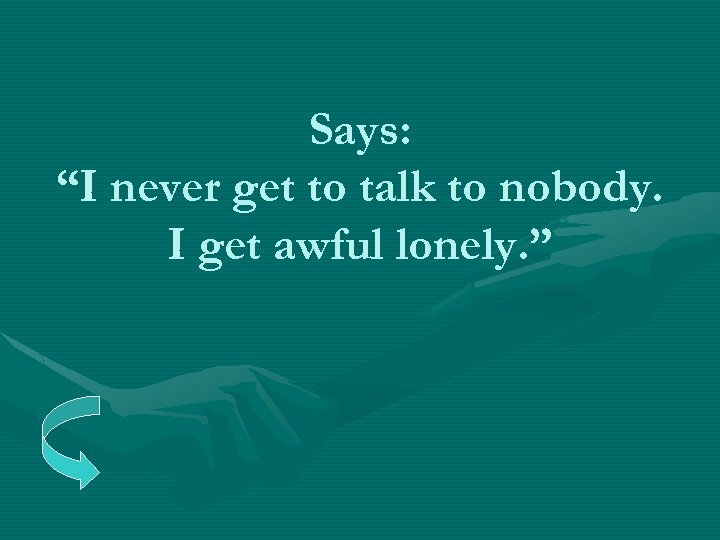 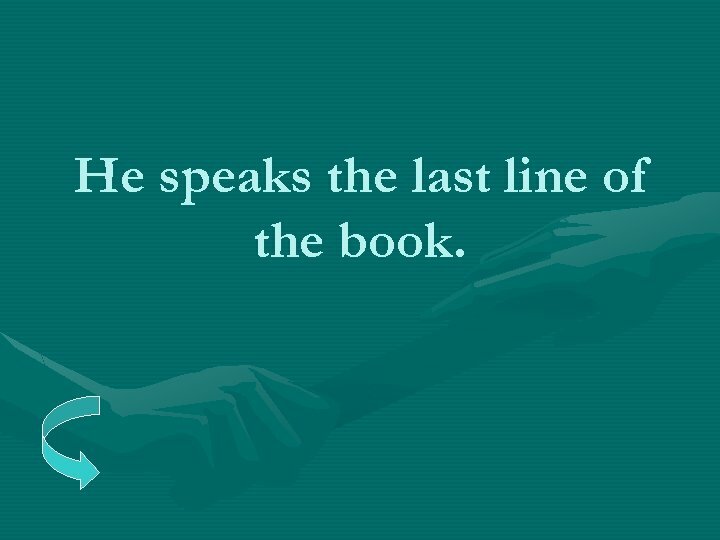 He speaks the last line of the book. 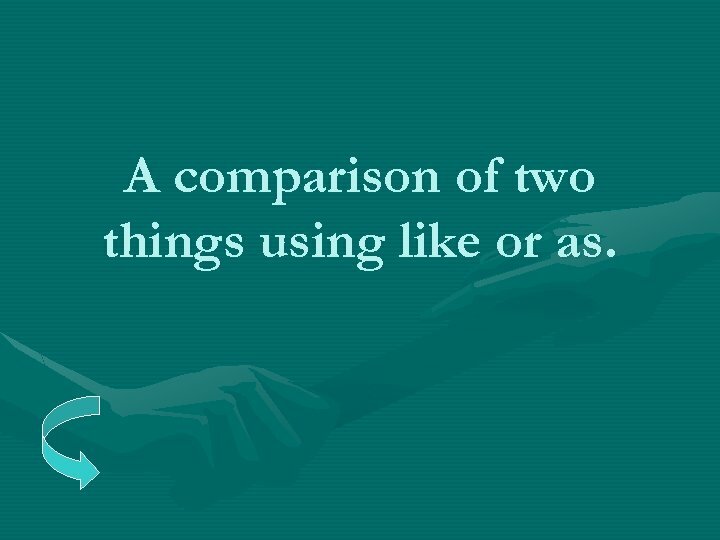 A comparison of two things using like or as. 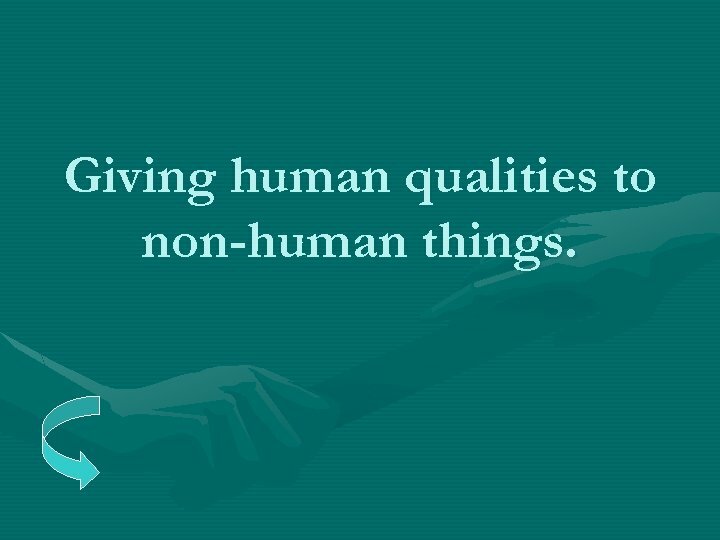 Giving human qualities to non-human things. 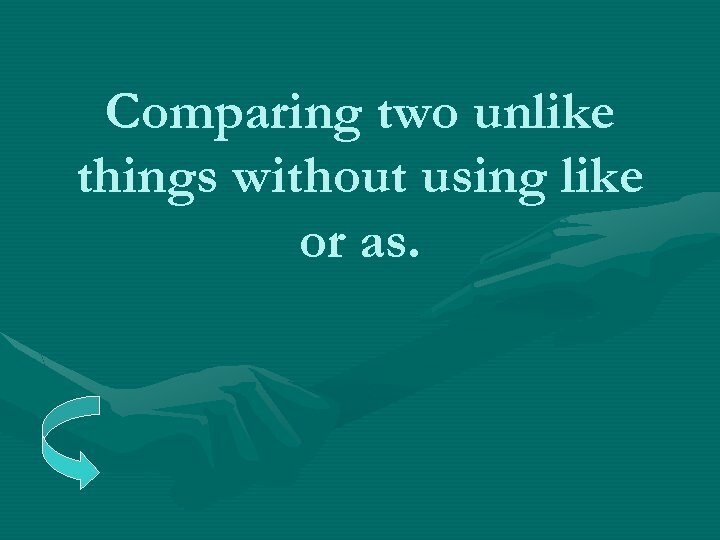 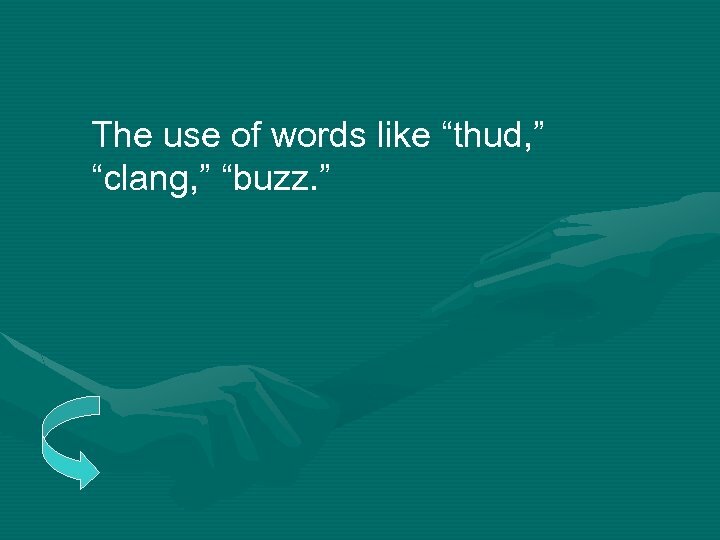 Comparing two unlike things without using like or as. 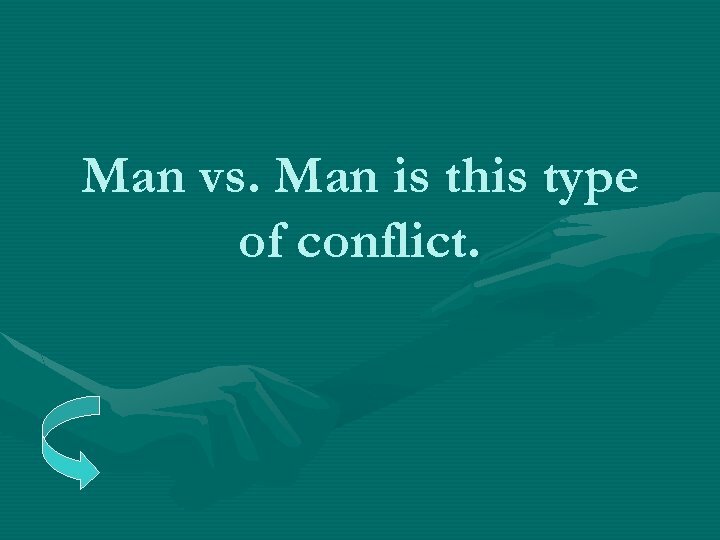 Man vs. Man is this type of conflict. 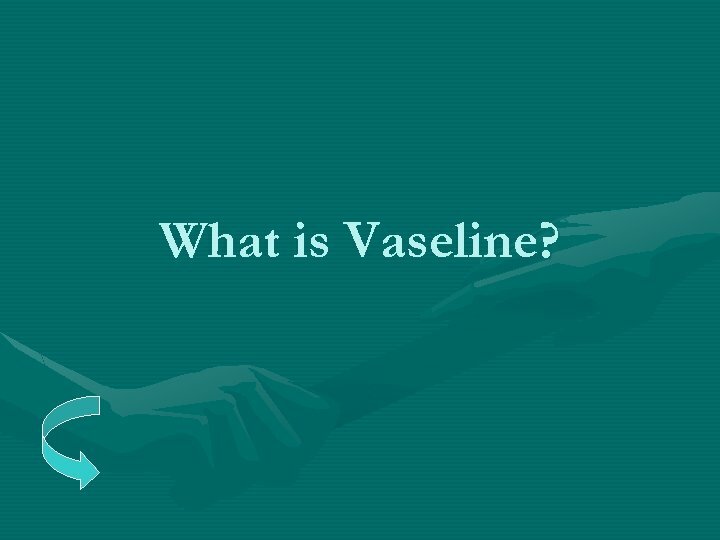 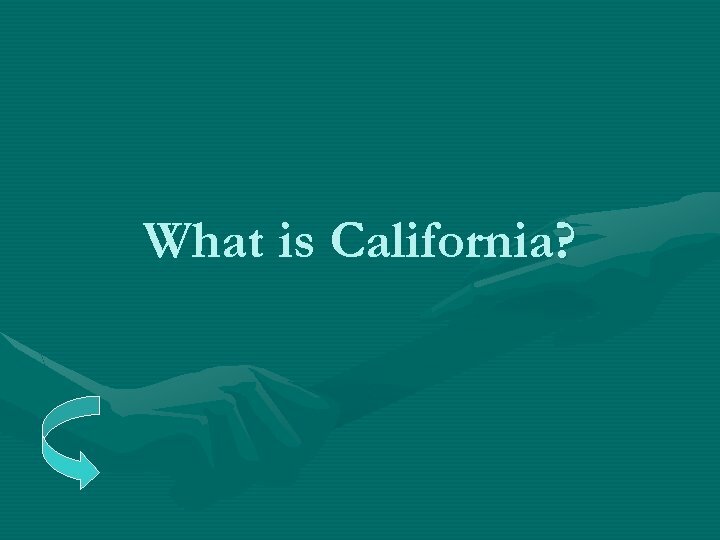 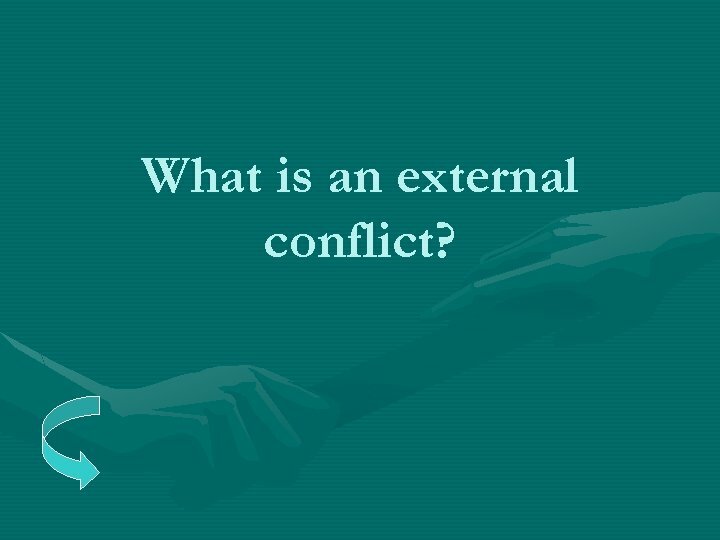 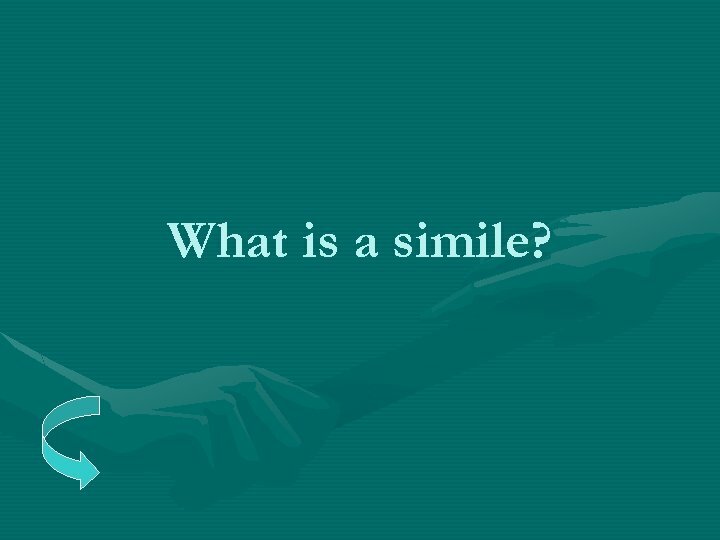 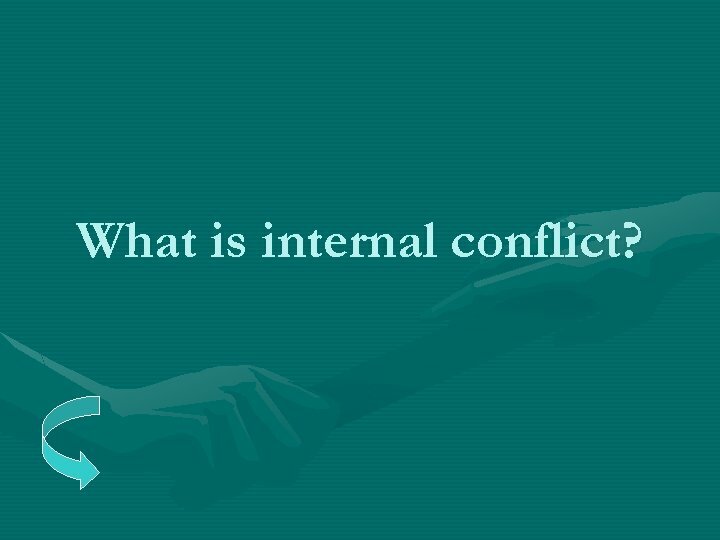 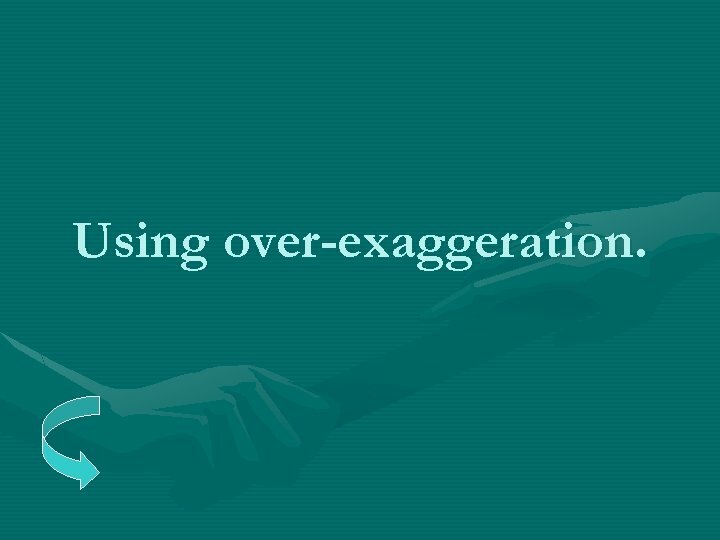 What is an external conflict? 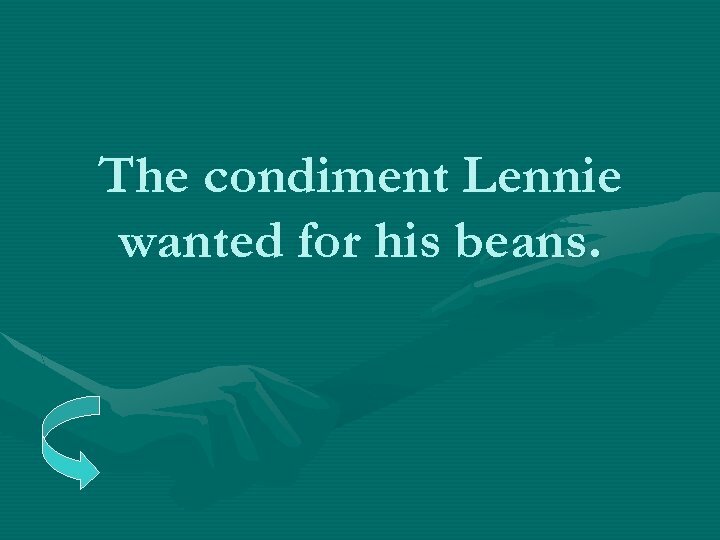 The condiment Lennie wanted for his beans. 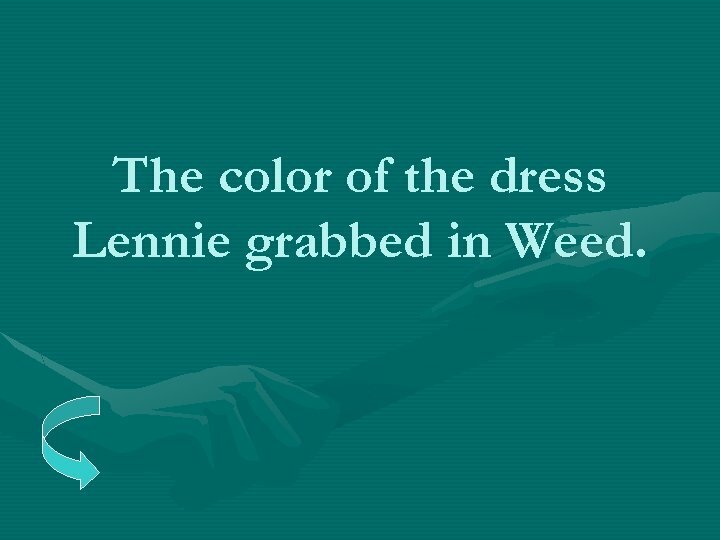 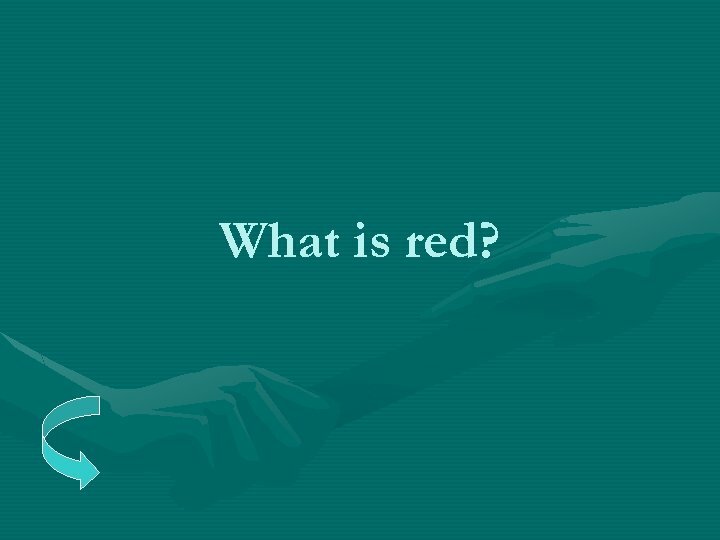 The color of the dress Lennie grabbed in Weed. 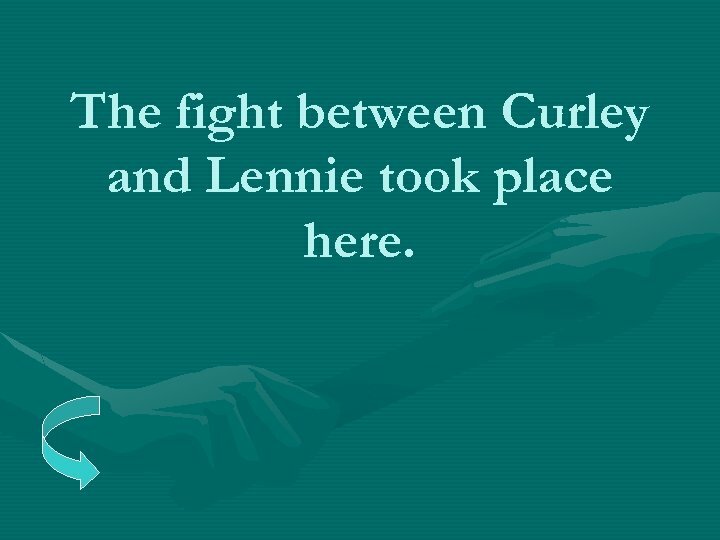 The fight between Curley and Lennie took place here. 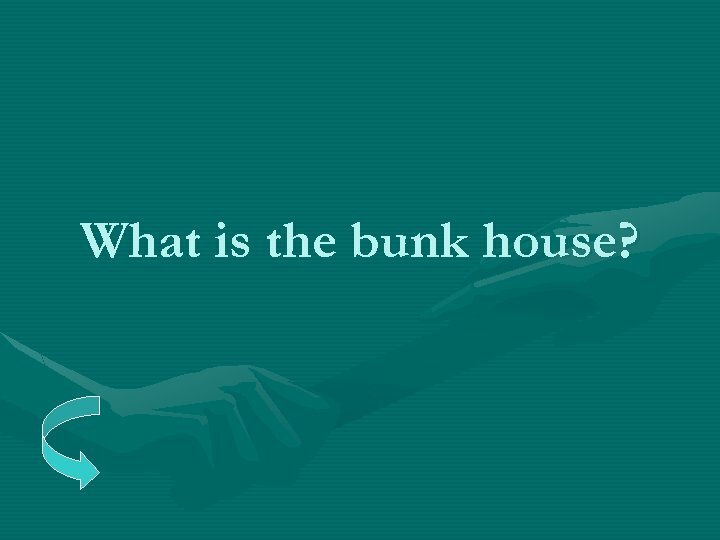 What is the bunk house? 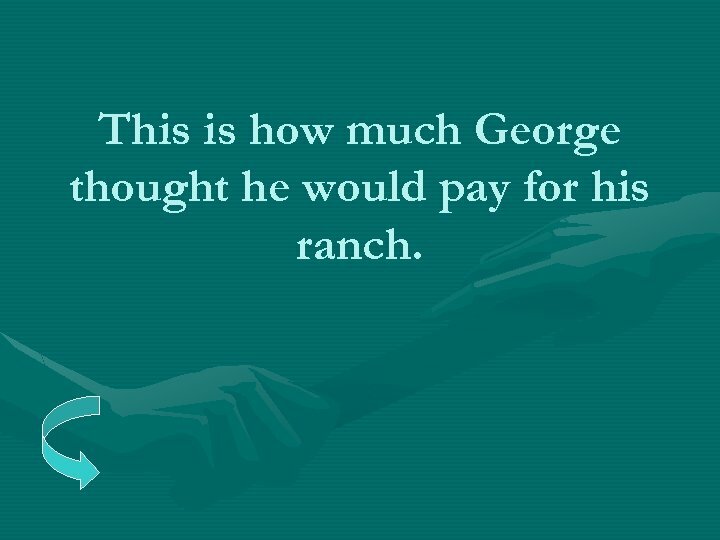 This is how much George thought he would pay for his ranch. 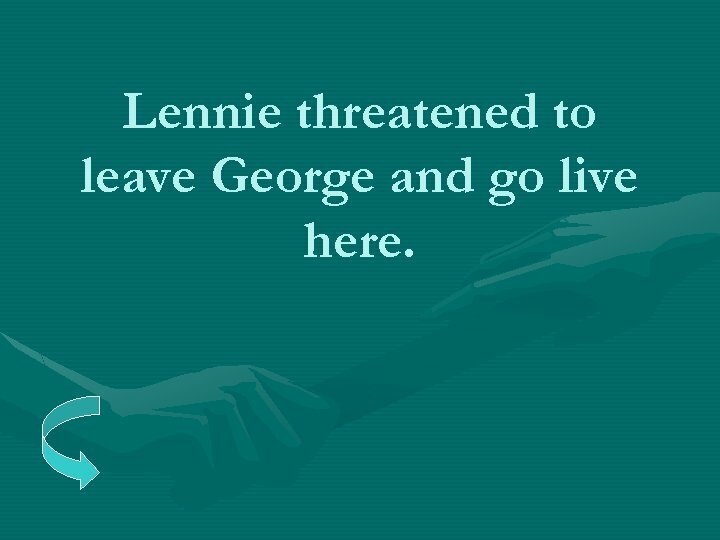 Lennie threatened to leave George and go live here. 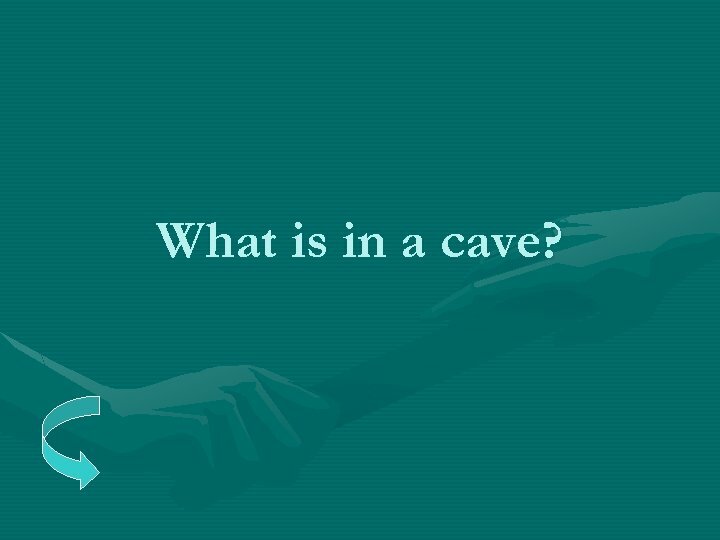 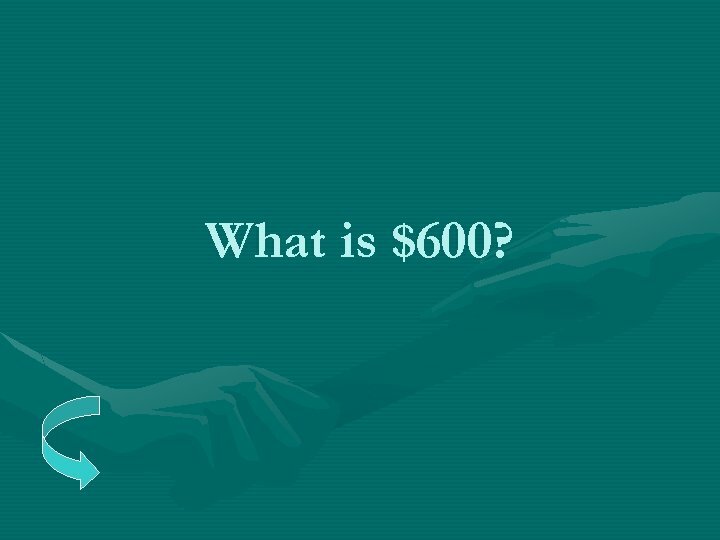 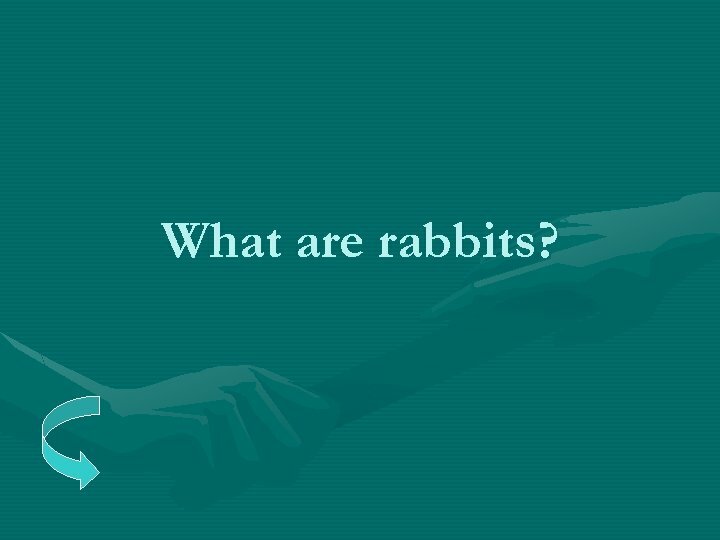 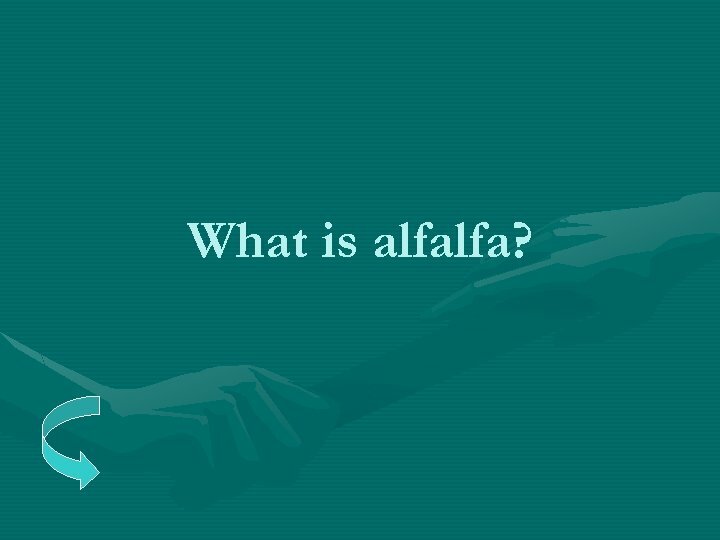 What is in a cave? 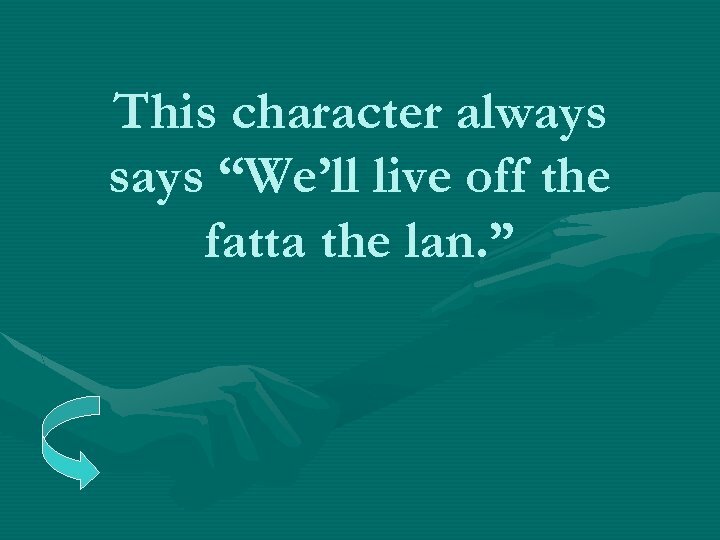 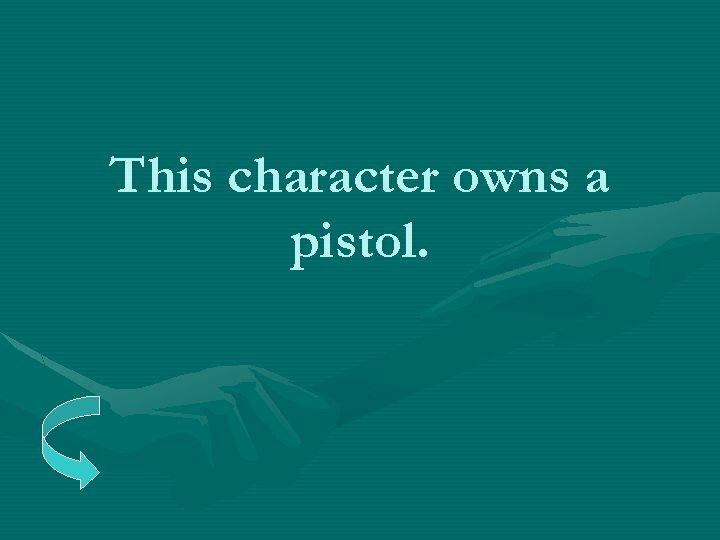 This character owns a pistol. 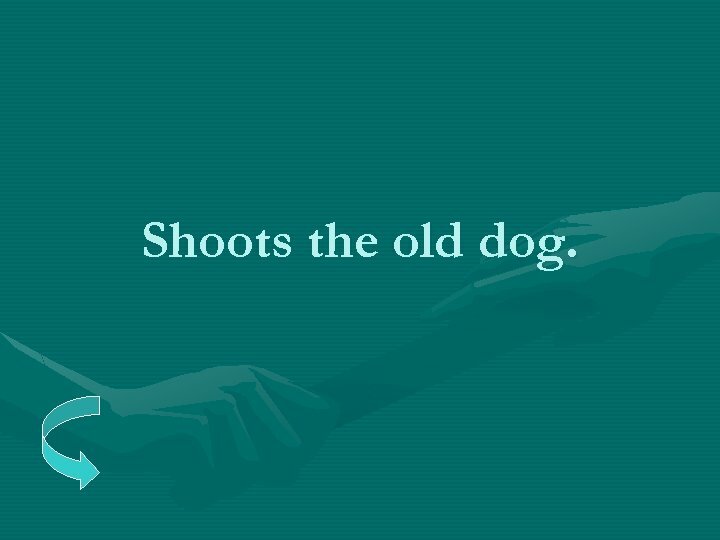 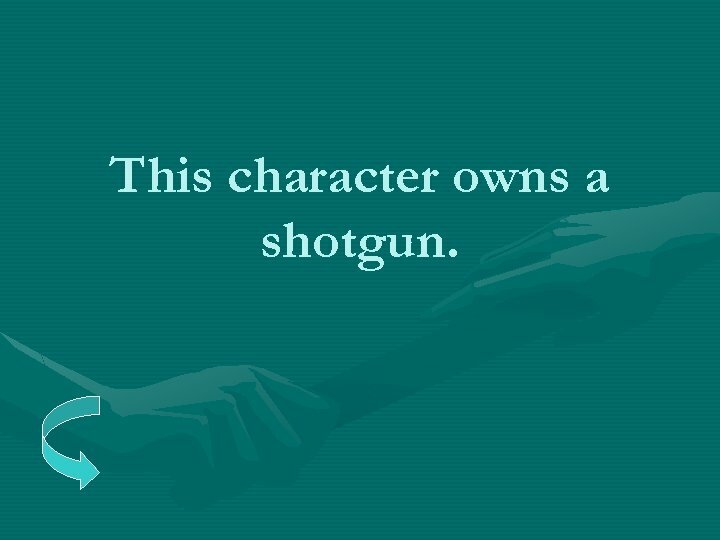 This character owns a shotgun. 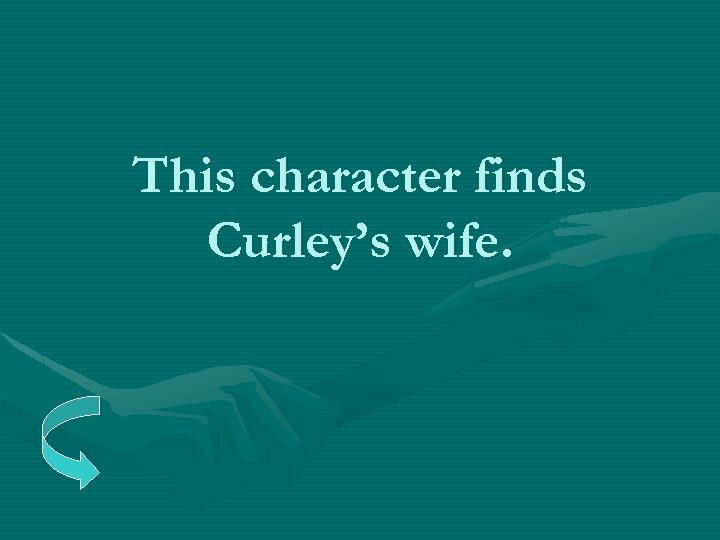 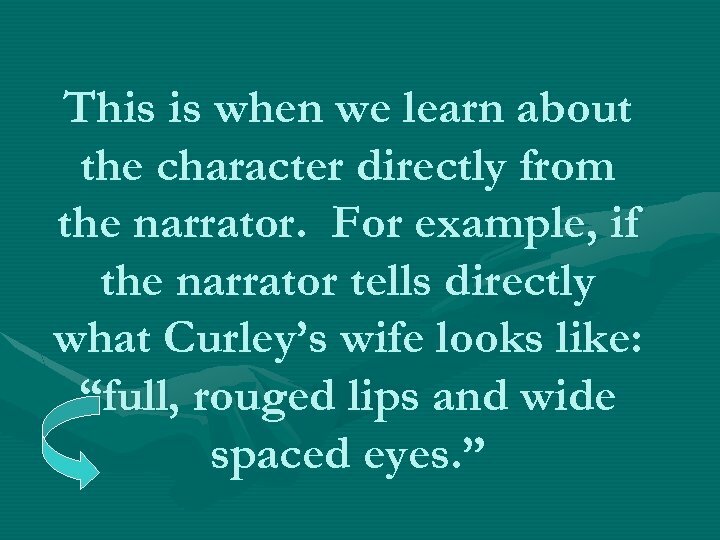 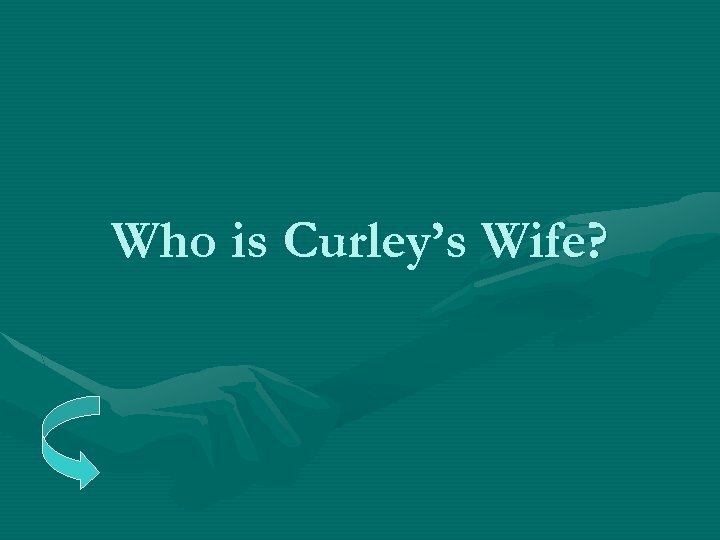 This character finds Curley’s wife. 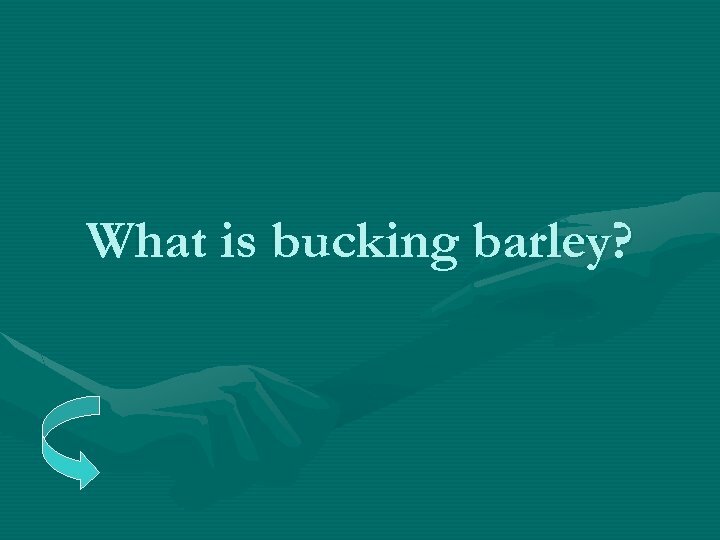 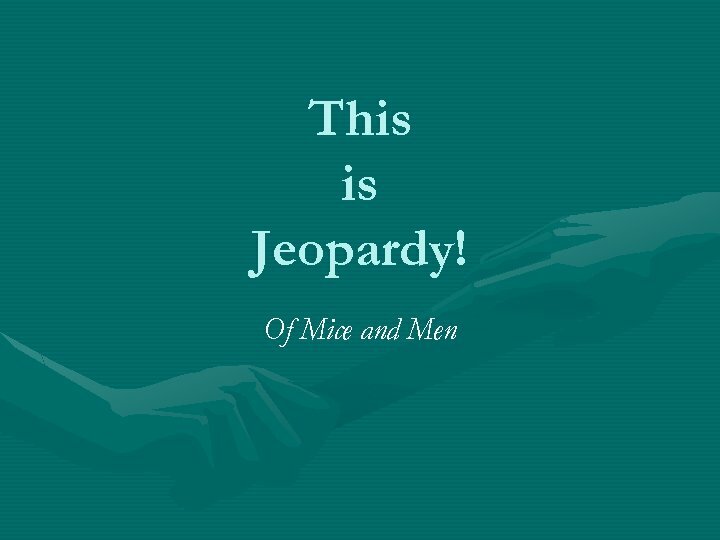 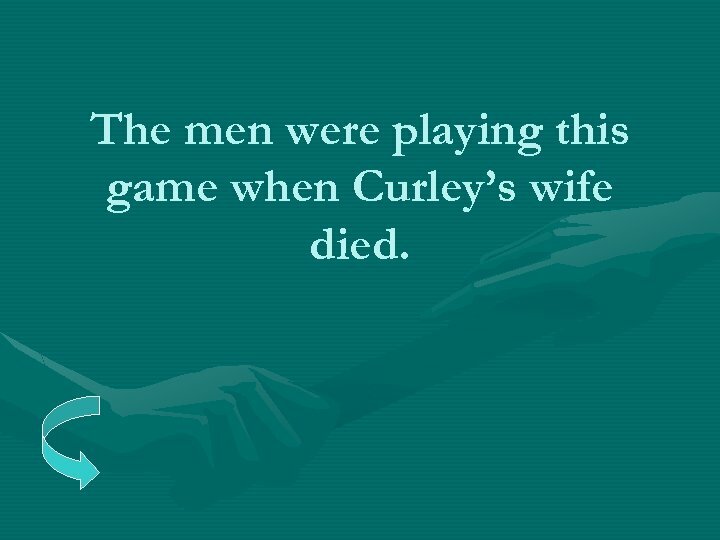 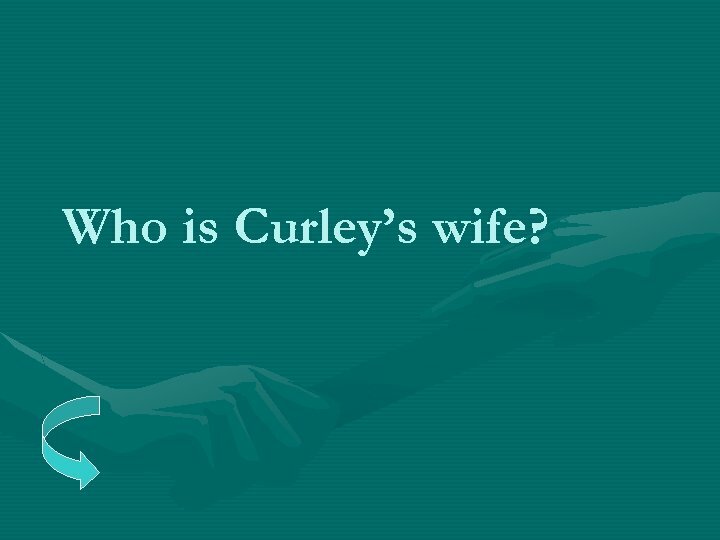 The men were playing this game when Curley’s wife died. 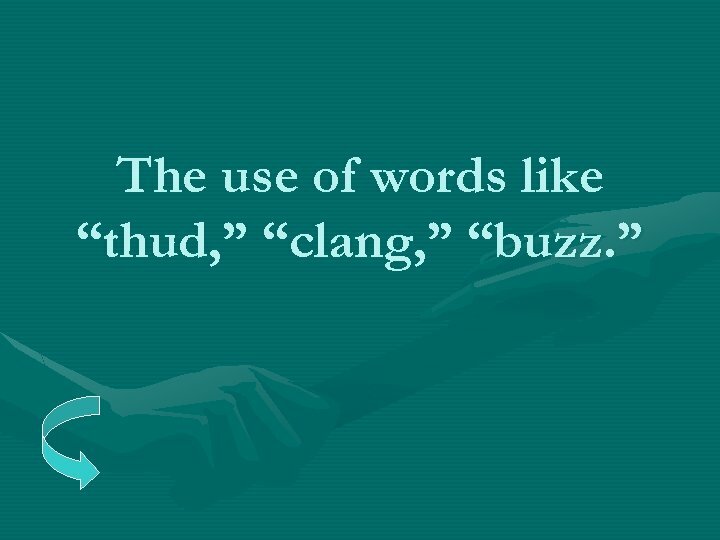 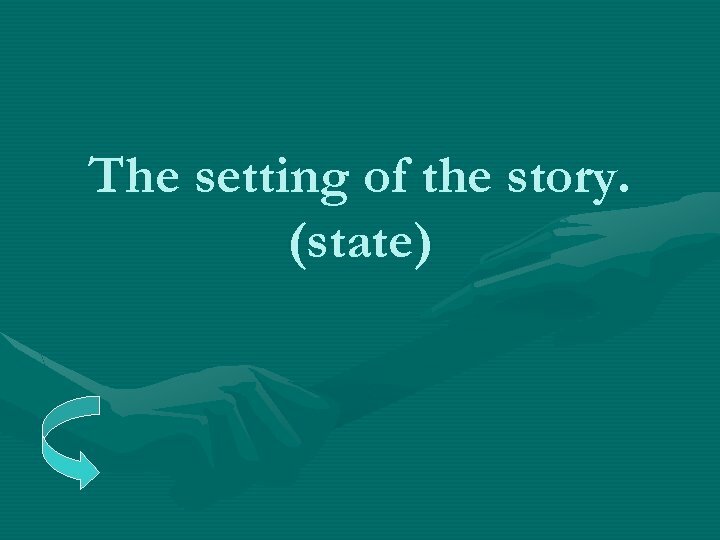 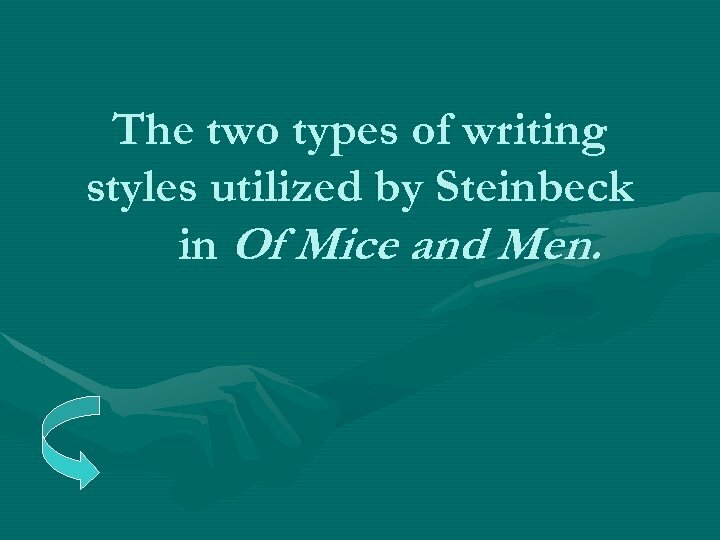 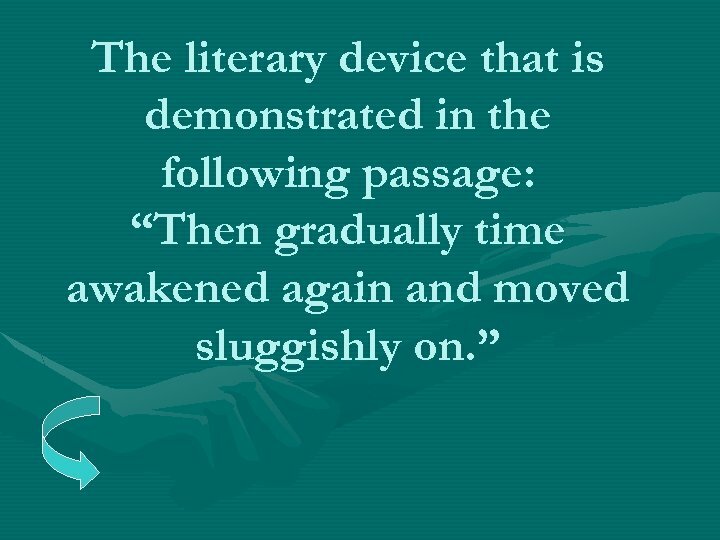 The two types of writing styles utilized by Steinbeck in Of Mice and Men. 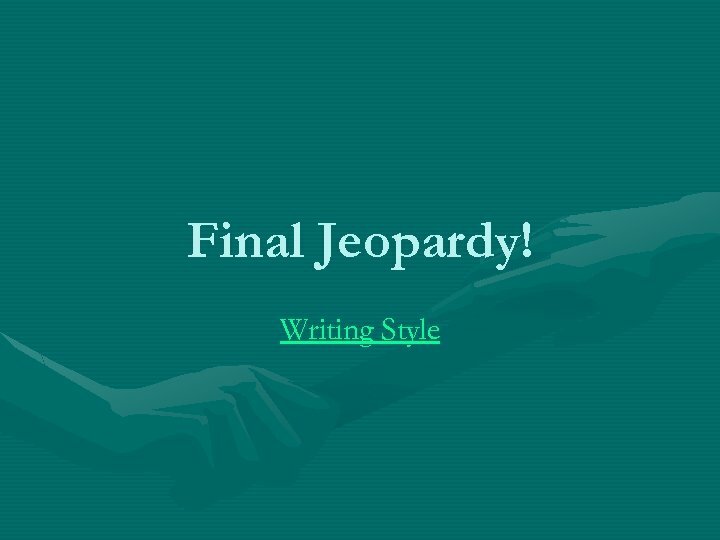 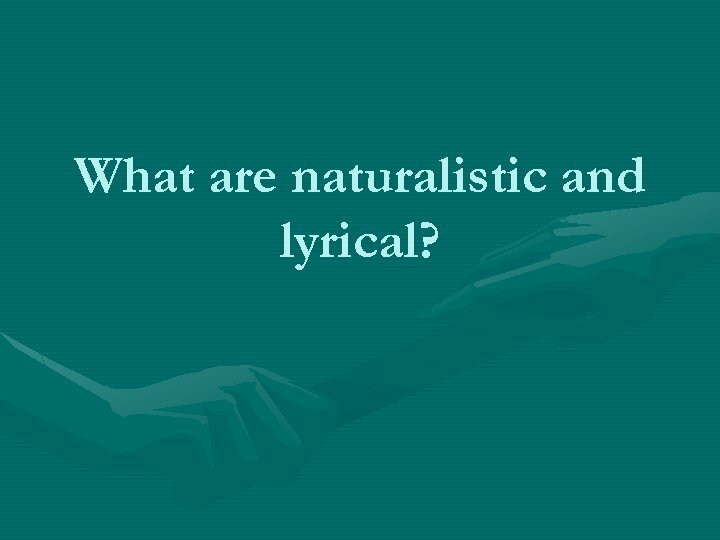 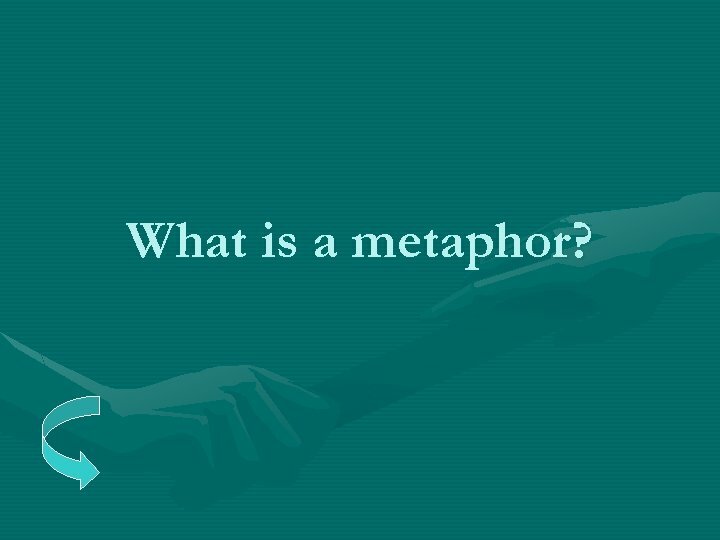 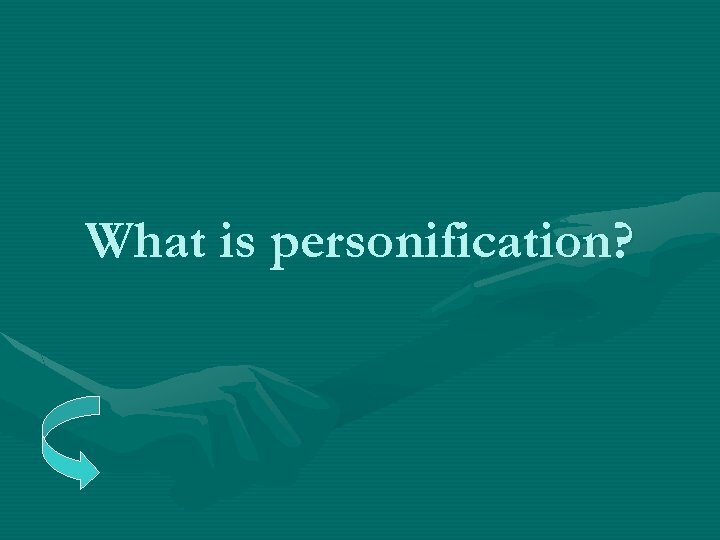 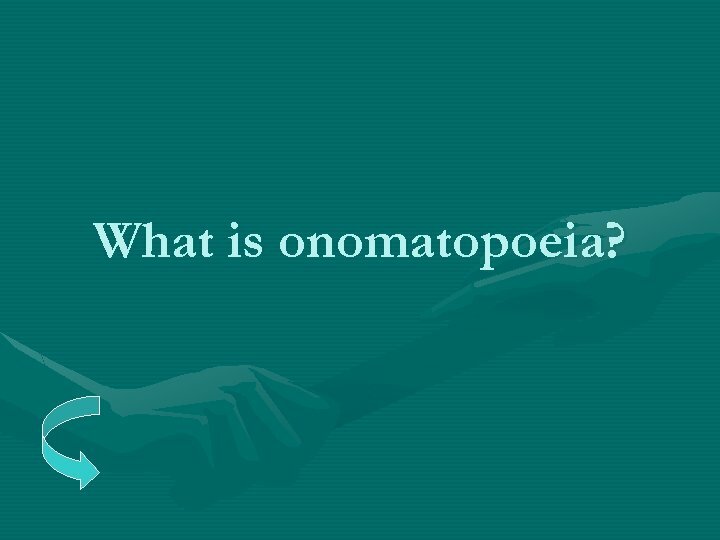 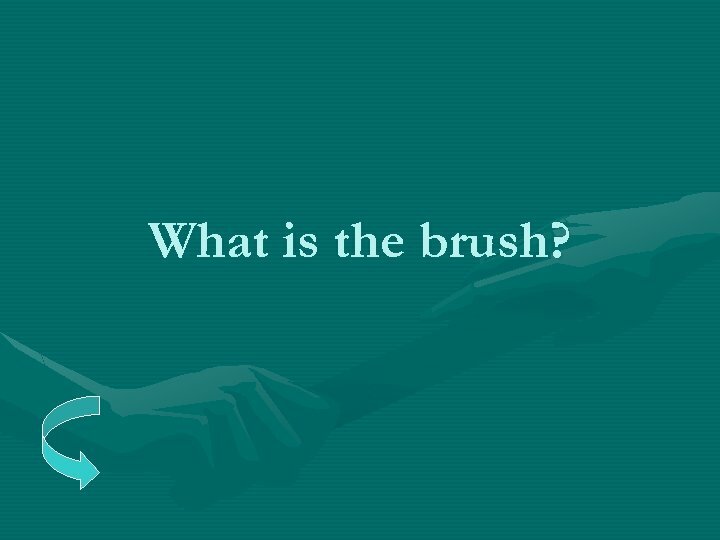 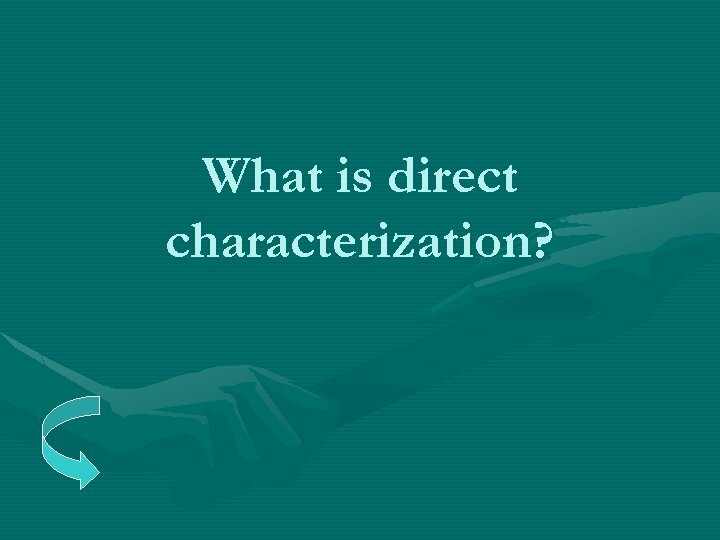 What are naturalistic and lyrical?